I am incredibly happy Netgalley and Random House sent me this new book to review as I have given it 5 stars and am adding it to my favorites list, and it's one I may not have picked up on my own. 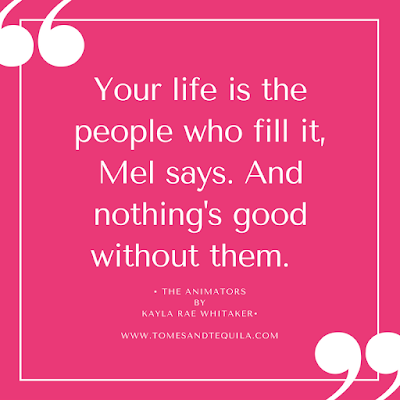 The Animators by Kayla Rae Whitaker will be available for purchased 31 January 2017...and I can't wait to see the rest of the public's reaction to it. It was completely different from anything else I have read recently, and in a slap-you-up-side-your-head kind-of way. 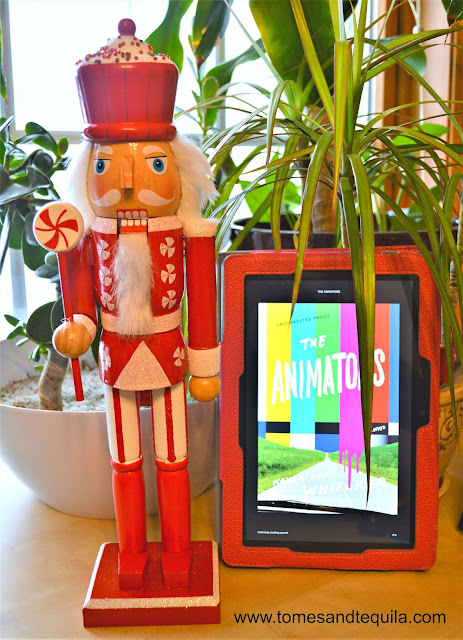 The Animators is a novel about Sharon Kisses and Mel Vaught. The book starts with them meeting one day after an art class freshman year of college. Sharon feels like an outcast...she's a scholarship student from Kentucky, and doesn't fit in with the rich kids. She hides most of the time, hoping not to be seen...but when Mel invites her for drinks everything changes. Mel is "cool". She exudes something special, and Sharon is enchanted by her. They bond over a mutual love of fringe animation, ding dongs and pilfered weed. It's the beginning of something special. Cut to ten years down the line. The pair are receiving a prestigious grant to make a new animated film, after their last Nashville Combat becomes a success. Sharon is still feeling like an outcast, and Mel is more wild than ever. Their film was about Mel's childhood with a mother who was a prostitute and part-time drug dealer...and the slew of men who came in and out of her life. Although Mel will tell you that none of it bothers her, it's clear by her erratic partying behavior that it actually does. Can Sharon get her under control? Tragedy hits and we're left wondering if it's a good idea to put your past out there for public consumption. What about the ramifications? What about the other people who end up in your story? And how do you deal with the trauma and misfortune that might come out of it? It's at this point that the book turns...turns again...and evolves into a different beast than I was expecting. I honestly don't want to put a whole lot more into this review because I want you to be as surprised as I was if you decide to read it. I honestly have a hard time wrapping my head around this being a debut novel. There was an entire section where I just kept saying "wooah, wooah" and I had to explain to my son (who was looking at me like I was crazy) that it had hit a point where you knew the crap was about to hit the fan, and you were just waiting for it to happen. I knew heartache was coming, and I couldn't wait to see how it was relayed. And then there were the tears. I shed a few about 3/4 of the way through the book...and that doesn't happen very often. I was invested in these characters wholeheartedly, and they are wrapped up so well in the end. This book is far hipper and young than I am...although for most of the book the main characters are in their 30's (and I am not THAT far removed from that decade to remember). But it is a very artistic and sassy book. My daughter is a great artist, and I've already told her she should read this when it comes out. The slang...the jibes between Mel and Sharon...the drug use...it is all very far removed from my life as a military wife and mom. But I think that's part of why I enjoyed it so much. Some of my favorite books are ones that take me out of my life and into one that I wouldn't normally have a chance to experience. There are also some fabulous gay characters in here for those looking for a more diverse read. This book is by no means one that centers on the character's sexuality, but rarely does a book that someone like me would consider a fabulous book club pick have not one...not two...but MULTIPLE lesbians characters. And yet I wouldn't label this LGBT fiction. This is a book about best friends and relationships. Their sexuality is secondary to their well-rounded and fleshed out personalities...but I definitely thought it was worth noting. So, I unreservedly give this 5 stars....and have marked it as a "favorite" on Goodreads. Be on the lookout for it the end of January 2017. 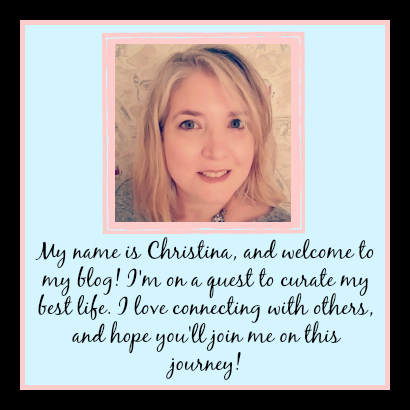 Don't forget to follow me on my Facebook page and over on Twitter!